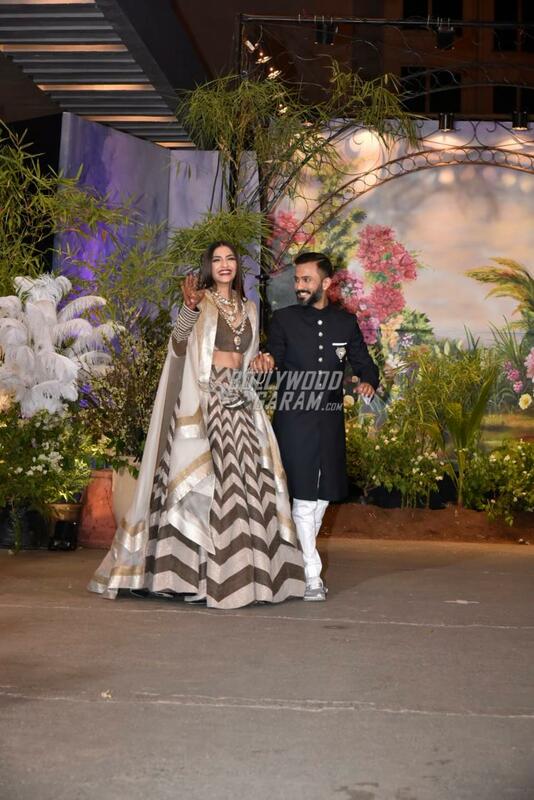 Bollywood fashionista Sonam Kapoor got married to businessman Anand Ahuja in a grand wedding ceremony in Mumbai on May 8, 2018. The newly-weds later in the day hosted a grand wedding reception at a plush hotel in Mumbai which was attended by the Who’s Who of Bollywood. 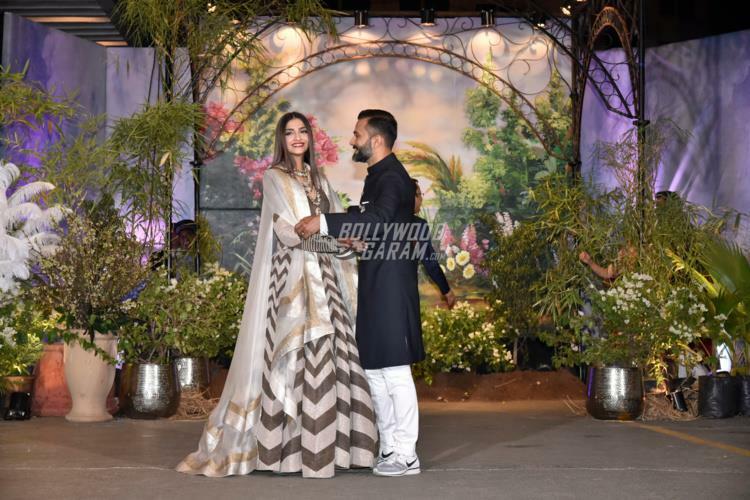 Sonam and Anand made their first official appearance together as husband and wife in front of the paparazzi. The Mausam actress and husband Anand posed for the shutterbugs together and could not take their eyes off each other. The couple was all smiles and looked happy as they posed for the cameras. 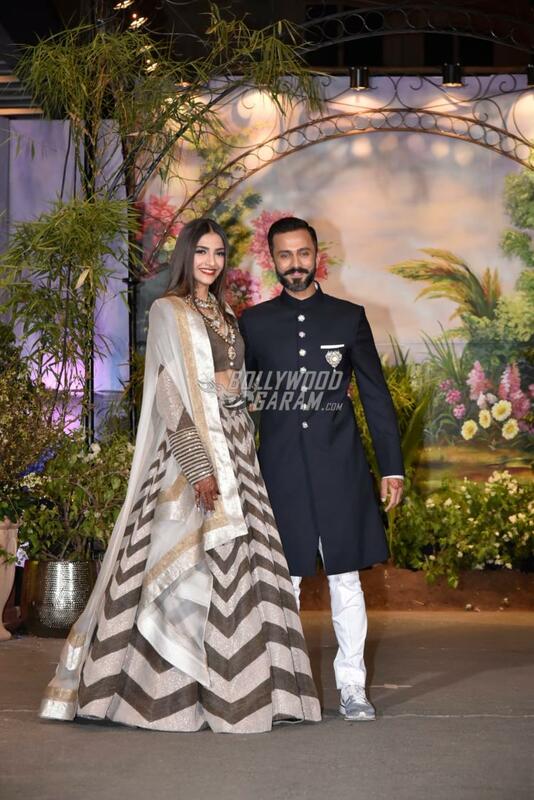 Sonam for the grand wedding reception was seen in an elegant striped lehenga with a matching blouse and an over-sized jacket. The actress completed her look with straight hair and some accessories. Anand opted for a navy blue bandhgala with white pyjamas and white sports shoes. 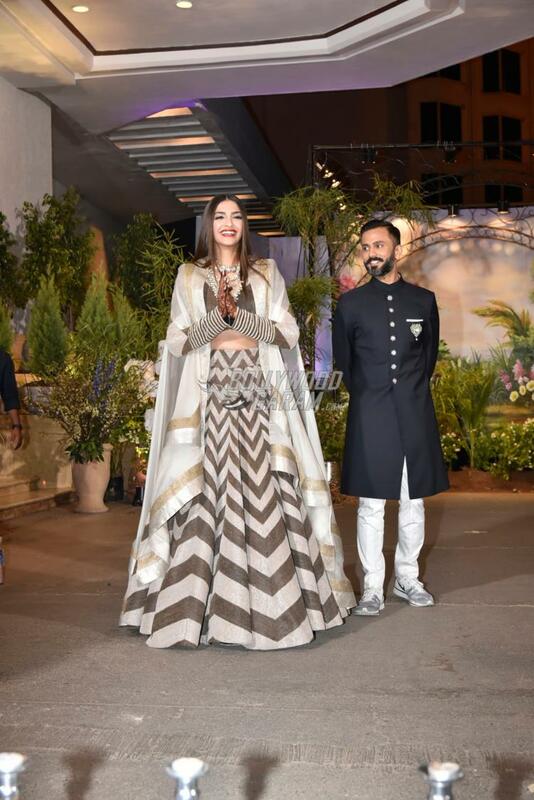 Sonam and Anand got married according to traditional Sikh rituals on May 8, 2018.